One of the most popular types of Kratom is Maeng Da Kratom. Even though there is limited information available on this type it has the ability to produce amazing effects. The reason why Maeng Da Kratom is well-known is because its effects range from pure relaxation to bursts of energy. In my opinion, it’s one of the most effective strains out there. In this Maeng Da Kratom Guide we will covering everything you need to know about this strain. 2 Maeng Da Kratom Capsules Or Powder? 5 Where To Buy Maeng Da Kratom? In case you didn’t know, there are 3 different types of Maeng Da. Maeng Da is said to be one of the most flexible strains out there. Every colour has its own set of effects. Not everybody experiences the same effects when using Kratom. This is why you’ll often find mixed reviews on effects of Maeng Da Kratom. Kratom tolerance also plays a huge role. 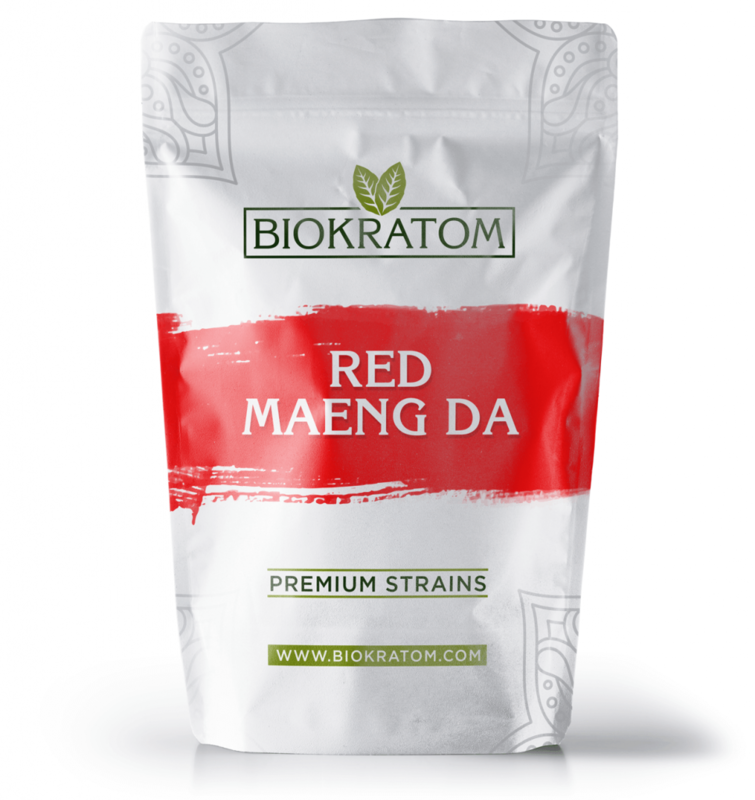 Red Maeng Da Kratom is by far the most used type of Maeng Da. The reason why it’s so widely used is because it contains a very high amount of alkaloids. I have been dealing with chronic pain for the last few years. Everything I’ve taken for it has not worked. I heard about Kratom and ended up ordering some Red Maeng Da Kratom to see what it was all about. Let me tell you, this was the first time in a long time that I had been pain free. I couldn’t believe it, I am so happy i decided to give it a try. It has been the only thing that has helped me with my pain. Red Veins are well-known because they seem to be very effective at pain relief. If you are looking for a type to help with pain relief I definitely suggest trying Red Maeng Da. Most users describe feeling relaxed and calm when taking Red Maeng Da. Besides that, this type can also be mildly sedative. If you are curious about different red kratom types make sure to check out Red Bali. It’s very compareable in terms of effects but some users seem to prefer it over Red Maeng Da. Green Maeng Da Kratom is mainly known for its effect of allround well-being. With this strain, you can expect to be nice and relaxed after just a low to moderate amount. The first time I tried Green Maeng Da Kratom I experienced increased energy combined with some level of pain relief. The most noticeable effect was overall mood enhancement. It is also worth mentioning that this strain can be very uplifting. Overall it is said that Green Maeng Da is very similiar to White Maeng Da. Most users seem to point out that Green is a bit more sedatitve than White. As you guys might already know, I’m a big fan of White Vein Kratom. One of them being White Maeng Da. It’s really good at providing energy and focus. 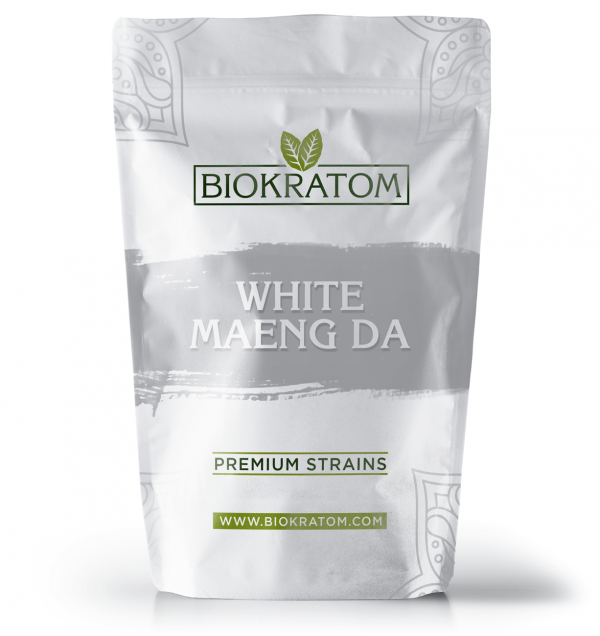 White Maeng Da Kratom gives me a nice boost in energy and focus, as well as a little bit of euphoria. I do want to add that everybody is different and you might not experience the same effects. The white type is perfect when you need to get a lot of work done. My cognitive functions improve when I take this strain which allows me to increase my workload. 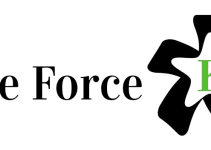 Also make sure to check out my article on White Borneo Kratom. It’s also a very interesting type of strain with amazing effects. It is also worth mentioning that kratom is often used as self-treatment for opioid withdrawal. Maeng Da Kratom Capsules Or Powder? 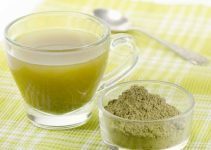 I often get asked if there’s a difference between taking Maeng Da Kratom in capsules or powder. There is no huge difference between taking powder or capsules. I say no huge difference because capsules can take a little longer to break down in the system. Powder is usually much faster acting as you can start feeling the effects within 20 to 30 minutes. With capsules, it will probarly take at least an hour before it kicks in. Dont worry about the capsules not working if it’s been almost an hour, its completely normal for it to take a while. Do NOT take more capsules whilst waiting for the effects to kick in! Maeng da kratom powder has a very strong taste which some people just can’t stand. In that case, maeng da kratom capsules are a great alternative. Most Maeng da kratom capsules are dosed at 0.5 grams per capsule. So, if you want to take a moderate dosage you’ll only need to take 4 to 5 capsules. The great thing is that with capsules you will know exactly how much you are taking. You can also take them whenever you want, all you need is some water to wash it down. If you end up going with Maeng Da Kratom Powder I highly suggest purchasing a milligram scale so that you are able to accuratetely weight out your dosages. So guys, there you have it. It doesn’t really matter whether you choose to go with capsules or powder. As long as you purchase high-quality kratom everything will be fine. Finding your sweet spot can be quite difficult as everybody has different experiences with Kratom. Why cant I take the same maeng da kratom dosage everybody else is taking? This is because of several reasons. You might have very strong Kratom. Or you could have less potent Kratom that is of bad quality. I always suggest purchasing from a reputable source like BioKratom. You might be completely new to using Kratom. In this case, you should be starting out with a low dosage of 1 to 2 grams. Tolerance also plays a huge role. Remember, everybody has a different body composition. If your going to try out Maeng Da Kratom for the first time, start out low. It’s definitely one of the stronger types of Kratom. For your first ride, try taking 1 or 2 grams. Don’t bother listening to other articles who tell you to start out 4 or 5 grams. This will be too much for your first time, especially if you got high-quality kratom from a reputable source. In my opinion, less is more. After your first experience you can decide whether or not you increase the dosage. Only increase the kratom dosage if you feel comfortable enough doing so. With kratom capsules maeng da you can easy adjust the dosage as they are often dosed at half a gram per capsule. When taking powder, dont measure it with a teaspoon as it is way too inaccurate. Purchase a milligram scale instead so you know exactly how much you are taking. Trust me, you don’t want to be taking too much kratom because you will end up feeling horrible for several hours. If you follow my advice you will quickly find the maeng da kratom dosage that works for you. Usually, I rotate between different strains of red and white but last week I decided to give the Green Maeng Da Kratom a try. Now, I’m not a big fan of Green strains but I thought to myself, what is the worst that could happen? I took 2,5 grams of Green Maeng Da and waited for the effects to kick in. After about 20 minutes I slowly started to feel the effects. The first thing I noticed was that I felt very euphoric. With most green strains I dont really feel anything at all but with Green Maeng Da it was different. I felt very uplifted, it’s kind of hard to describe. I had great energy and felt some increased mental clarity aswell. This lasted for a good 4 hours, the experience was pretty amazing. I’m definitely going to be using Green Maeng Da more often. 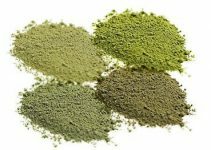 Where To Buy Maeng Da Kratom? That is a very good question. As you might know there are plenty of vendors that have Maeng Da Kratom for sale. But which one of them carries high-quality kratom? Having used various vendors throughout the years I have to say BioKratom has been the best so far. Besides offering great quality kratom they also ship out very fast and have good customer support.